The Tay Bunkhouse is set up and designed with stag and Hen groups in mind. Its location is perfect for that perfect Scottish Highland get away. Situated in the heart of Perthshire just 5 minutes drive from Pitlochry, surrounded by, adventure activities, distilleries, SPAs, restaurants, rivers, and Mountains. You won’t have a dull moment as you have so many options to choose from when planning your stag or hen weekend. The bunkhouse sleeps up to 12 people in 3 spacious bunk bedrooms. There are great self-catering facilities in the bunkhouse with everything you will need to and restaurants nearby. We have a large gas BBQ and fire pit which is complimentary for you to use, as well as a great outdoor space with outdoor tables chairs and dining facilities. The bunkhouse has ample private parking on site and extra space in the garden for camping or marquee options, and river access. We have created some great packages for you and your group to choose from during your stay, to make your weekend as easy and hassle-free as possible. For Stag weekend packages you can choose any of these options, or contact us directly and build your own bespoke, unique stag weekend. 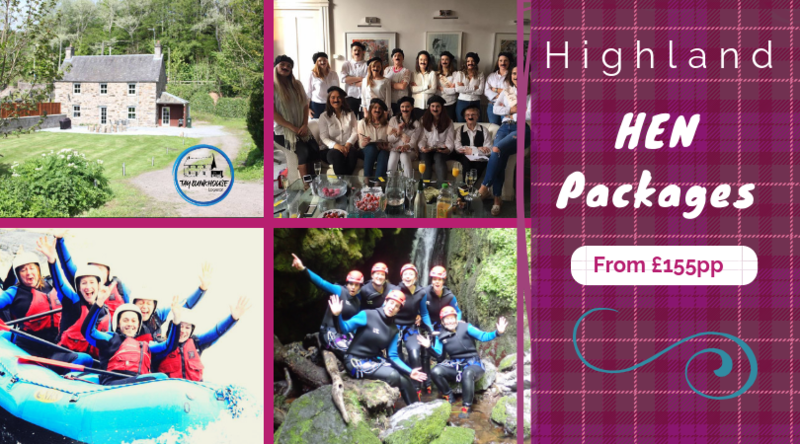 For Hen weekend packages we have carefully put together some great options, or speak with us personally and we can help you create your own special weekend. If you have any questions we are always available and happy to help. 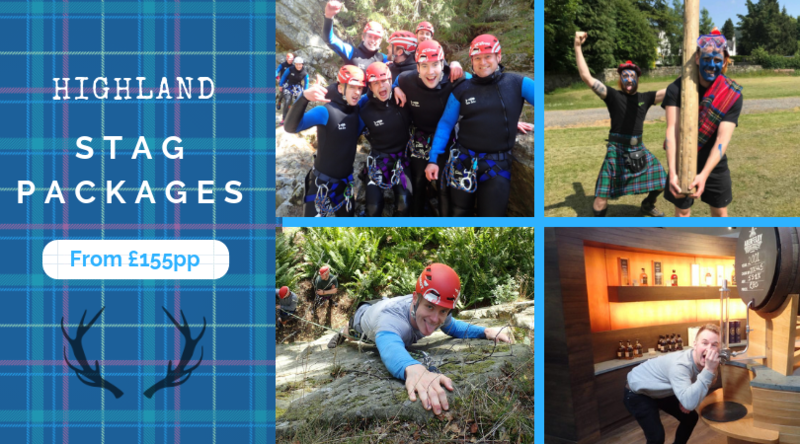 As we operate an adventure centre we have unrivaled experience in arranging, planning and facilitating stag and Hen weekends. Find out more about The Canyoning Company here.